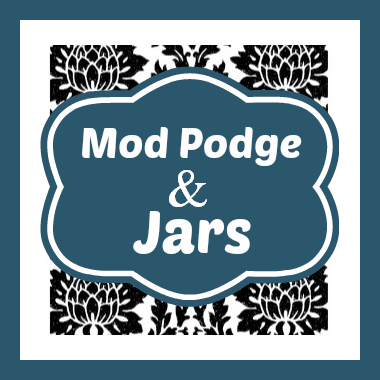 I love Mod Podge and I love Mason Jars, so it stands to reason I would be in love with any craft that involves both of those things. 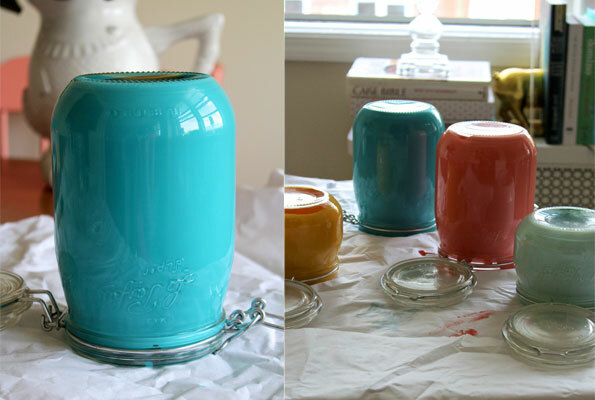 The Mod Podge jars below are so, so pretty. I think they’re so cute, and could be used in so many versatile ways. Let’s talk bling & Mason Jars, y’all. 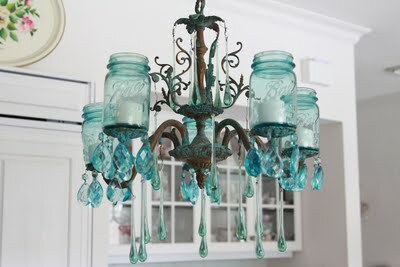 I can’t help but love it when someone creates something completely shiny & “blinged out” using a Mason Jar. Whether it’s glitter, or pearls, or rhinestones, I absolutely flip out. 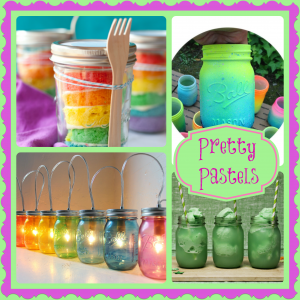 The Mason Jar crafts you’ll see below could be perfect for all sorts of things. Weddings, storage, or dropping a votive inside for super cute, super bling lighting. 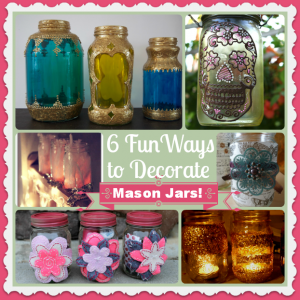 Let’s decorate Mason Jars! I love, love, love the way these crafty ladies have chosen to decorate their Mason Jars. 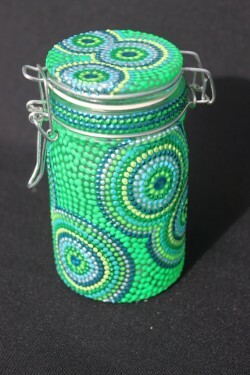 Using everything from puffy paint, to Mod Podge, to beads, to felt, to feathers, to glitter – they have taken a plain jar and turned it into something beautiful. I love each and every example! 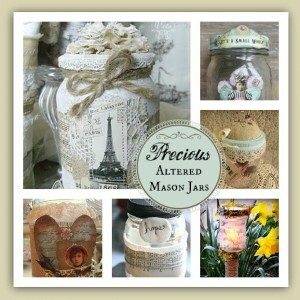 Have you seen altered mason jars yet? Oh my gosh, y’all. They are so, so beautiful. Lemons scream SUMMER, and they smell wonderful. Added bonus! 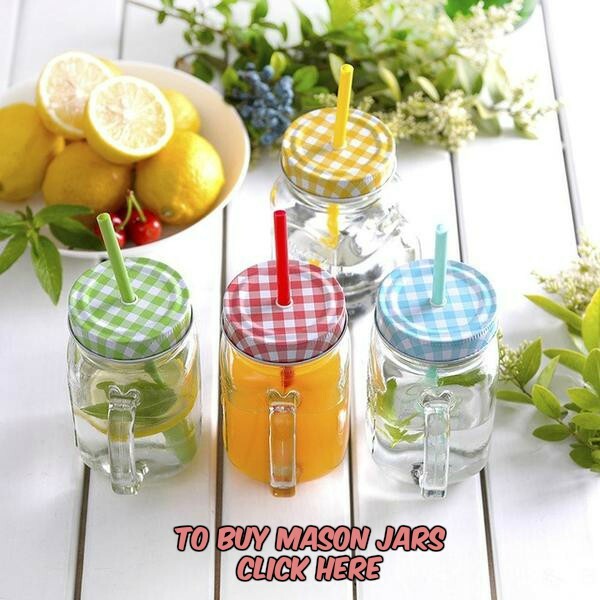 These Mason Jars flower vases are so lovely, aren’t they? 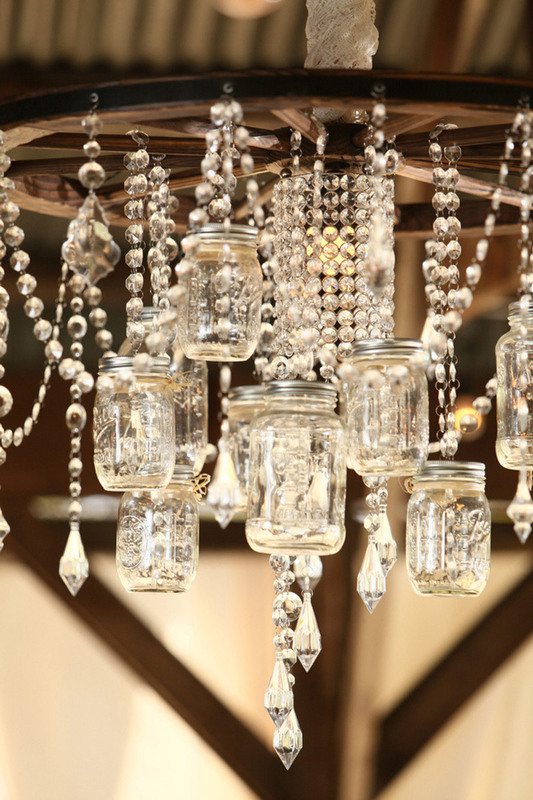 I’m a sucker for a Mason Jar chandelier, and this one just takes my breath away. Isn’t it beautiful? I think I love this particular Mason Jar chandelier so much because the crystal and rustic aspects of it play off each other in such a brilliant way. Via www.jessereichweddings.com. 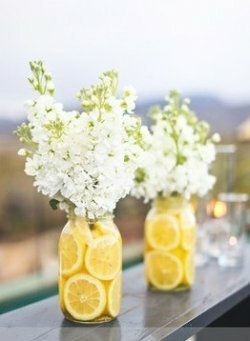 We’ve all seen painted Mason Jars by now, but I can’t help but love them still. There is something absolutely delicious about this color combination showcased on Self.com.